Yesterday we visited the Kames Capital Ethical Roadshow. 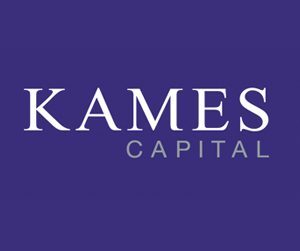 With environmental issues coming increasingly to the fore and more Funds coming to the market looking to satisfy a rise in interest in sustainable investing, this was a great opportunity to hear from arguably one of the most established Ethical and Sustainable investment teams in the market place – Kames have been running Ethical money for over 25 years. The event gave us the opportunity to hear from three of the investment team on the Funds, the Kames approach and their engagement with companies and areas they are favouring for their funds. Kames offer a broad range of ethical and sustainable investment funds- currently managing more than 2.5 billion* for a diverse range of clients. It’s always great to hear about the actual companies that stocks/corporate bonds are held in.Two highlights for us surrounded healthcare equipment that improves patients quality of life and the project to reduce sewerage pollution in the RIver Thames, which we will share with you. The history of the Omnipod insulin pump technology comes down to a young boy who was diagnosed with diabetes in 1992. Doing his research, his father found that insulin pump therapy offered dramatically better control than injections combined with a reduced risk of long-term complications with greater freedom for his son in terms of diet and exercise freely. But pump technology still had some limitations – particularly the tubing that runs from the pump to the infusion site and needing to take the pump off for some activities – non-waterproof ones even having to be removed for showering. So dad gathered the best diabetes and technology experts he could find to form Insulet Corporation to improve on the traditional insulin pump. Insulet signed an international distribution agreement for the OmniPod System, a leading independent diabetes specialist and technology provider that has brought the technology to the UK. It’s great for children as it allows them to be children. The small, lightweight Pod lets children take part in just about any activity. 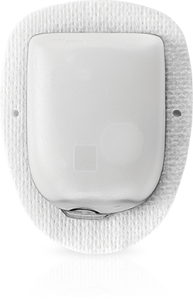 The wireless Personal Diabetes Manager (PDM) helps caregivers manage insulin delivery remotely. And you can use it with any available Continuous Glucose Monitoring system (CGMs), so your child stays aware, and feels in charge. This year they are looking to launch the Omnipod Dash enabling users to see key pod data on their own smartphone via a new “Display” app. The pod will talk directly to the handheld, which will then relay data to a user’s own phone. This adds improved user experience, Bluetooth, smartphone viewing along with remote monitoring. This project is working to improve the water and sewer networks across London and the Thames Valley to make sure they can cope with current and future demands. The tunnel is a 15-mile-long sewer, the width of three London buses, which is being bored under the River Thames. It’s designed to prevent millions of tonnes of sewage from overflowing into the tidal Thames every year from the capital’s overloaded Victorian sewer system. The new tunnel will pipe sewage to the Beckton works. After that, it will return clean water to the environment – and use the sewage waste to generate more renewable energy too. 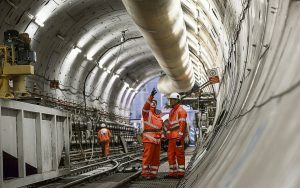 At 15 miles long, seven metres wide and up to 65 metres deep, the Thames Tideway Tunnel is the biggest infrastructure project ever undertaken by the UK water industry. 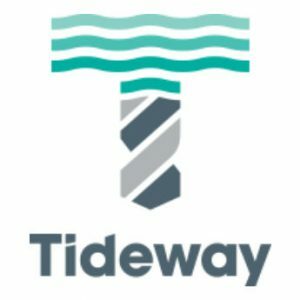 Most of the engineering work is being carried out by a separate company independent to Thames Water, known as Tideway, who will finish construction by 2024, and hand over the tunnel for Thames Water to operate. Since the original system, built in the 1850’s, London’s population has increased from two million to eight million, and by 2031 it’s expected that there will be 10 million people living in the capital. Whereas Sir Joseph’s sewers overflowed into the Thames only once or twice a year when they were built, for a maximum population of four million people, it’s now happening almost weekly. Quite simply, the system is overloaded. Today, 39 million tonnes of sewage are discharged into the river each year, and regular pollution incidents cause problems for people and the environment. Rowers and other recreational users of the Thames can become ill with stomach infections, and summer storms can lead to the deaths of thousands of fish when sewage causes oxygen levels in the water to fall. The new “super sewer” will intercept at least 94% of this volume in a typical year. Importantly, the tunnel will capture all of the ‘first flush’ from the sewers after heavy rain. This contains all the sediment that has built up during periods of drier weather and causes the most damage. So, instead of over 50 sewage spills a year, there will only be three or four, mostly surface water runoff after heavy storms. The tunnel will also capture unsightly floating sewage litter, including wet wipes which don’t break down, and are now building up in large mounds in slow-flowing stretches of the river. This will immediately make the Thames much cleaner, with huge health and aesthetic benefits for everyone who uses the river – now and for generations to come. There’ll be plenty of economic advantages too. For instance, more than 4,000 jobs will be created while the tunnel is being built, with several thousand more jobs in the supply chain and the wider economy. At least 25% of employees will live in the boroughs where the work sites are located with the wider economic benefit spread across the UK. Rejuvenating London’s river-based economy will be another important benefit of the Thames Tideway Tunnel. Protecting the River Thames ecosystem will help to sustain commercial fishing industries, and a cleaner River Thames will enhance London’s reputation as a business centre and tourist destination. It’s always fascinating and inspiring to hear about ethical investments, I will never bore of this (excuse the pun).  Please have a look at our many options available when investing ethically. Thank you to Kames Capital for another great insight.